The week before the semester started the Knowlton Center brought 18 sophomore and junior students from back to campus to participate in a 3-day intensive career-readiness program. The students came from all over Denison representing different majors and extracurricular activities all with one goal: to prepare for internships and careers after Denison. The Students all came together and participated in several preparation workshops with our career coaches. These workshops focused on writing resumes and cover letters, networking, LinkedIn Profiles, and interviewing. Additionally we were all able to participate in a voice training session with Voice Coach from Available Light Theatre, Acacia Duncan. Acacia demonstrated techniques to add confidence to your voice and covered the dos and don’ts of presenting yourself vocally. The program also included a day business trip to Columbus. There the students toured companies from several different industries and were able to gain a perspective of professional life in Columbus, a hub of employment for recent Denison grads. The trip culminated with a networking event with several Denison alumni. The students were able to practice their networking skills and make professional connections with Denison alumni. The last day of the program gave the students a chance to apply everything they learned in a series of mock interviews. They were given a chance to perfect their resumes and choose from a list of sample internships to interview for with our career coaches and other professionals around the college. This allowed the students to interview and receive valuable feedback. Later the students participated in a Designing Your Life Workshop, a program offered by the Knowlton Center in conjunction with the Red Fram Lab developed from the strategies of Design Thinking out of Stanford. The workshop allows you to plan several versions of your future and what steps you need to take and when, and is intended to keep your mind open to innovation. This “Career Ready Bootcamp” is an idea that the Knowlton Center has been thinking of for a while now but was finally able to bring it to fruition this year. The program was a success and we hope to bring it to Denison annually so we can do what we do best: career preparation! The Knowlton Center is proud to unveil our newest resource to help make networking made easy. Wisr is a tool that allows you to search for Denison alumni in your field and organize networking conversations. Click this link to get started with Wisr! You start off by connecting through your LinkdIn account (so make sure your account is up to date!). Once you have entered all of your information, you can start searching for alumni. Your Wisr dashboard will automatically suggest alumni to you, but you can always browse through different industries. Once you find someone you want to connect with you can either message them or request a call. Both are great ways to start learning more. If you request a call, the system will help you schedule a time that works and will send you both an individualized number. All you have to do is call that number and you will be connected. Be sure to have questions prepared! Networking is a great way to develop professional relationships, learn more about industries, and learn specific information on companies and positions. Building connections can help you with your exploration process and potentially widen job prospects. Wisr helps facilitate this by putting you in contact with alumni who are more than willing to help you out. Want to learn more about networking? Visit the Knowlton Center in Burton Morgan! 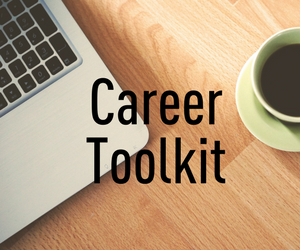 We can offer you information on how to build your professional network and sign you up for a networking workshop with one of our career coaches. Over the summer I had the opportunity to intern for the Republican Party of Cuyahoga County. I have always been deeply fascinated in politics, even from a young age, and I finally got the opportunity to get a look of it from the inside this summer. My typical day at work was nothing exciting, but I would definitely say that it helped me a lot. My responsibilities included: making phone calls, stuffing envelopes, and helping to organize certain events. The event planning aspect of my internship was by far the most intriguing, as I was able to learn the importance of networking by having the opportunity to meet various high level officials in politics. For example, this summer I had the chance to meet with Vice President Mike Pence, Attorney General Mike DeWine, Secretary of State John Husted, Congressmen Jim Renacci and Jim Jordan among many others. The opportunity to meet high level officials taught me that networking can be a useful too, especially when the time comes for job searching during post graduation. Being a part of these events and having the responsibility to plan them also helped me become much more comfortable in my own skin, which made me much more of a confident person. Overall, I think that I can honestly say that this was a truly wonderful summer experience. After completing this internship, I think that I have a much clearer vision of what I might want to do with my life after graduation. I can definitely see myself doing something in the realm of politics or public service. In fact, my boss has already invited me back to continue doing work for the party whenever I am not in school.